AUDIO: Bunty Beats & Chox-Mak - "Take Over"
Chox-Mak has been shocking everyone with his versatile flow he switches up from 90's hip hop flow to trap and even makes club bangers. He usually drops tracks with DJ YRS Jerzy but decided to switch it up and drop a single with Scotland's own Bunty Beats. 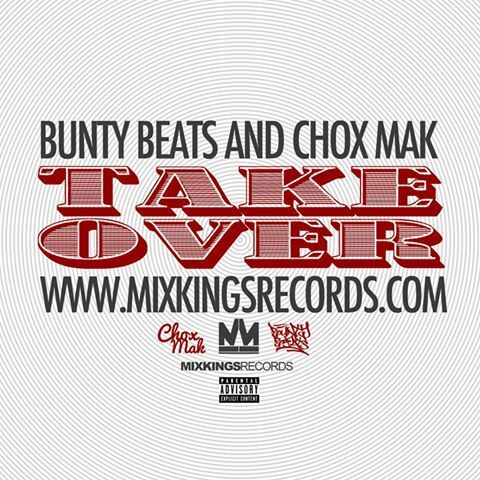 Chox-Mak and Bunty Beats bring you "Takeover" which is a feel good track with a great meaning to it. Chox-Mak will be dropping more projects with Bunty Beats in the future so just stay tuned for what the future has in store for them.